Since it’s summer and many of us tend to spend a lot of time outside, a sunburn can be pretty common even if you are wearing sunscreen. So what is one of the best natural remedies for sunscreen? I will let you in on a little secret….it’s Yogurt! You are probably sitting there scratching your head saying, “Yogurt!?”. Yes my friends, yogurt!! My family has been treating our sunburns with yogurt since I was a kid and it is still my go to method to treat sunburns. The yogurt is very cooling and it seems to literally absorb the heat from your burned skin. We usually apply it daily on sunburns and it takes about 4-5 applications to eliminate the redness. Also you usually don’t peel after the fact, which is a huge plus. 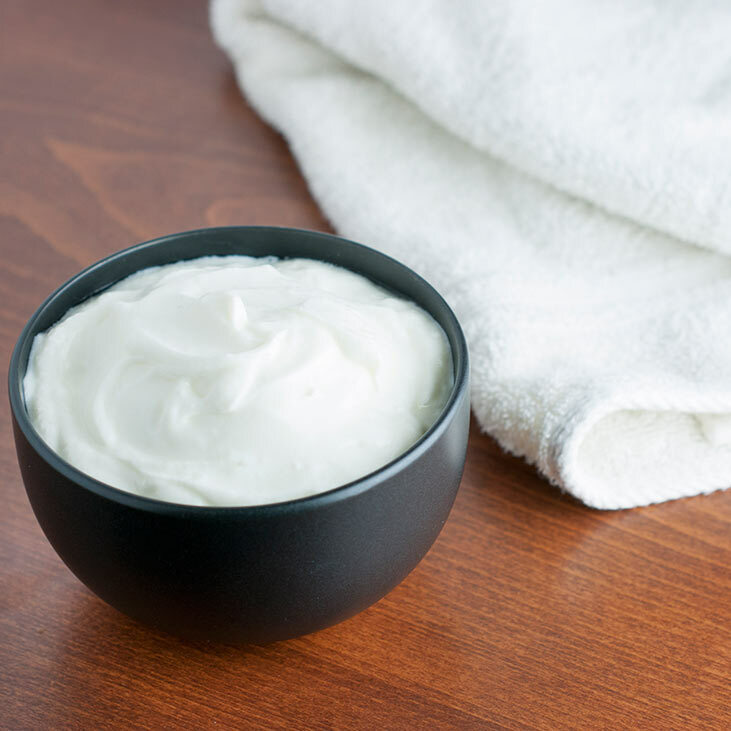 Real Yogurt is full of active cultures, calcium, protein, zinc which can help rejuvenate the skin. The Lactic Acid in yogurt is also said to dissolve the dead skin cells. I specifically remember one instance where I was so thankful to have some yogurt. My parents and I were on vacation in Bulgaria when I was a teen and we were at the beach on the Black Sea all day. Lets just say my back was FRIED! Worst sunburn I have ever had! It was so painful but my awesome mom went out, purchased some yogurt and spent forever applying and reapplying it to my back. Thank you mom! My dear husband agreed and allowed me to take photos of his sunburned feet for this post. If you were wondering, no he did not get a sunburn on purpose and yes I decided to write this post after he got a sunburn and a pretty bad one too! I won’t go into details but we were sitting in the kiddie pool with our daughter (for who knows how long…but obviously too long) and my husband and I got a sunburn. Our daughter on the other hand was wearing the homemade sunblock I made recipe here and didn’t even look slightly pink. Proud Mommy moment there 🙂 My sunburn was pretty mild but my poor husband got burned really bad. He was literally begging me to go buy some yogurt…okay not really but I insisted 🙂 It helped him a lot! This is after applying the yogurt 2 times and give or take a few days. Looks much better! Thank you so much for sharing the remedy for sunburn because I don’t prefer using the medicines to cure skin issues. I will surely try this method. Please share a remedy for suntan as well. Thank you. It works great. I don’t really have any suntan remedies though.